Volunteers served more than 50 people at the COTS shelter in midtown Detroit. [/media-credit] Detroit Entrepreneurs founders Jason Watts and Blake Hare. Black Friday, entrepreneurs all over the metro Detroit area will have sales on their respective products, in hopes of receiving your money in return. And understandably so. But one group of business owners in the city called the “Detroit Entrepreneurs” made it their duty to give back during the holiday season. 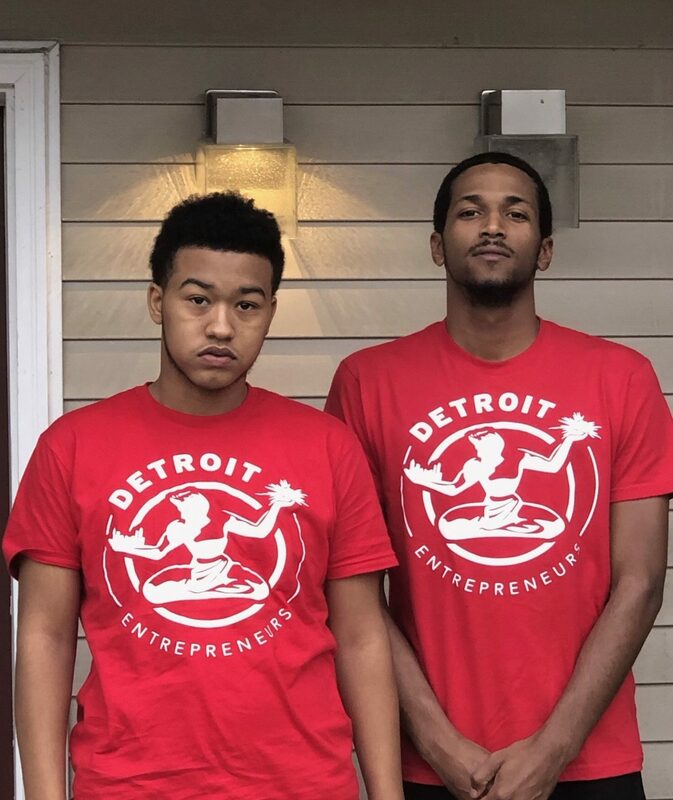 Detroit Entrepreneurs was started by friends Blake Hare, 25, and Jason Watts, 17, in 2016 as a way to unite black-owned small businesses in and around the area as a way to impact the community in a positive way. The organization also exists to let people know what black businesses they can spend their money with during the holidays. Thanksgiving Eve, the non-profit held its 3rd annual giveback at two local Detroit shelters where they fed, clothed, and fellowshipped with those in need. The Detroit Entrepreneurs served dinner to recipients at COTS (Coalition On Temporary Shelter) in midtown Detroit and the Detroit Rescue Mission on the city’s west side. Volunteers between both shelters served close to 80 occupants, mostly women and children, Thanksgiving food, but in a unique way. Instead of having people stand in line to receive food, volunteers acted as waiters and waitresses, taking orders from menus to provide a full-service experience. The creators of Detroit Entrepreneurs have both tasted some success thus far in their young lives. Hare owns a business and holds a business degree from Western Michigan University. Watts runs his own business as well and a non-profit and he cannot even play the lottery yet. They have been blessed with an abundance of opportunities business wise and wanted to spread some of that knowledge to those at the shelters. 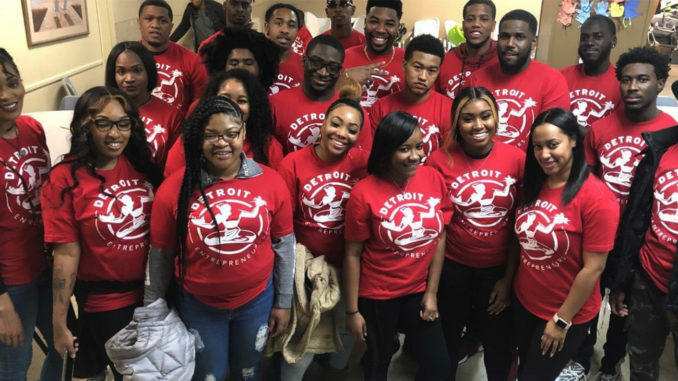 The Detroit Entrepreneurs are not able to hold giving-back events throughout the year as they would like to but feeding those in need during Thanksgiving is never a bad idea. There will always be those who need to eat and people willing to help with the process of feeding them. Over 60 donors made the giveback possible, with over 50 volunteers assisting with setup and serving of the food. Popular millennial pastor Mikiah Keener even delivered a powerful prayer at COTS. Since its inception, the Detroit Entrepreneurs giveback has grown, and Hare and Watts expect that same trend to continue in 2019.